This isn't about how powerful a storm's winds are, just how fast it chugs along. 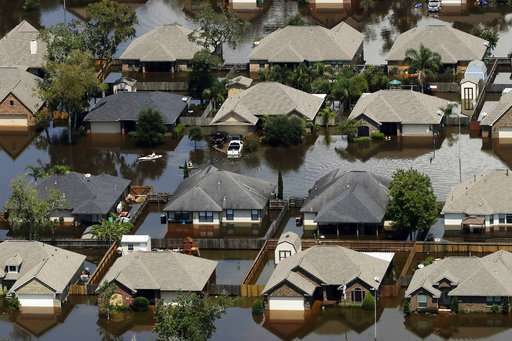 Storms in the last few years—before 2017's Harvey—were moving about 10 percent slower globally than in the late 1940s and 1950s, according to a study published in Nature Wednesday. Storms worldwide in 2016 moved about 1.25 mph (2 kph) slower than 60 some years ago. 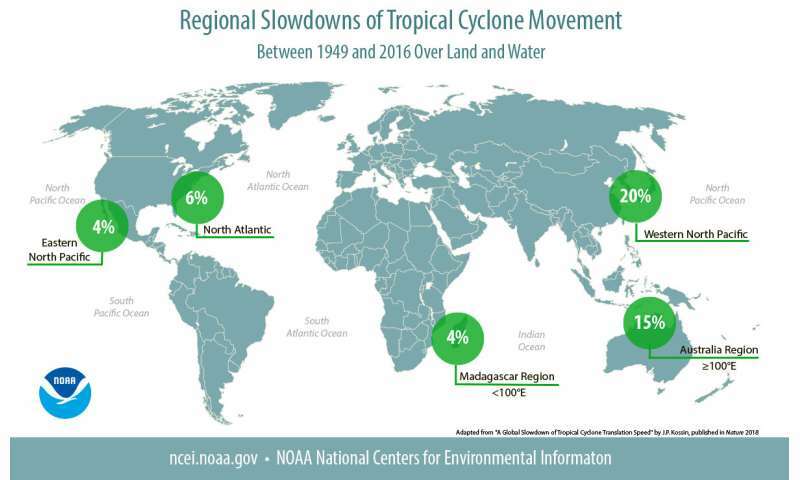 In the Atlantic Ocean basin, the slowdown was not dramatic, just 6 percent. But when Atlantic storms hit land—like Harvey—the study said the slowdown is a significant 20 percent. Atlantic storms that make landfall moved 2.9 mph (4.7 kph) slower than 60 some years ago, it said. Climate change is tinkering with and slowing down atmospheric circulation patterns—the wind currents that move weather along, Kossin said.